By making an entry, you agree that:. The film is one of your first FIVE (5) commercials/films in the category. The film has been released between January 1st 2018 and May 15th 2019. By entering the film in this competition, you accept the terms and conditions below. The competition is divided into the following regions. The region is defined by the country where the film has been produced, not by the director’s nationality. Entries must be one of the director’s first FIVE (5) pieces of work ever made in the category. Films must have been released between January 1st 2018 and May 15th 2019. The permission of all copyright owners must be obtained for entry into competition. NO CREDITS should be mentioned on the film. If the submitted film is in a foreign language it’s in your own interest to include English subtitles. Campaigns consisting of several films can be entered but only as individual films. If a campaign for example consists of 6 films, only 5 of these can be entered. Each film will be judged individually. Films directed by a team of directors can be entered. Each director must, however, fulfil the above criteria. Credits for entries should be submitted via the online form. The award organisers are entitled to exclude films not fulfilling the above criteria. The award organisers are entitled to move an entry to a more appropriate category if necessary. To enter the competition the film must be submitted with completed entry form, payment and uploaded to the Young Director Award website before the deadline on May 15th 2019. Entries MUST not exceed 60 minutes in length. The film and a thumbnail image must be uploaded through the entry site. Longer format entries should also supply a teaser/trailer, edited or cut version (5 minutes or less) to be used for a final judging review and at the winners ceremony. When entering a film, the online entry form must be completed, including declarations stating: That this is one of the first FIVE (5) commercials/film projects made by the director in the category, and that the film has been released between January 1st 2018 and May 15th 2019. Entrants must pay an entry fee. The entry process is not complete until the administration fee is paid. If you are paying by Bank Transfer you must pay within 5 working days of submitting the order for your entries. A shortlist will be selected in June from all the films entered. Shortlisted directors will be informed by email. Winners may be required to supply additional material for any promotional publications and screenings held after the YDA Cannes Show. The 1st judging session will be organized online in early June. The final judging is on site in Cannes. The award ceremony will take place on Thursday June 20th 2019 in Cannes. If the winner or a representative is unable to pick up the winners trophy during the Cannes ceremony, the prize may be couriered at the winners own expense. Entrants authorize the YDA to screen or publish the film or any stills from the film in connection with the screening in Cannes and any promotion of the competition on all media. Entrants will be required to supply additional material of any winning work for promotional publication or exhibition. Entrants agree to hold YDA not liable for any claim that may be made against them by reason of any such screenings or publication. 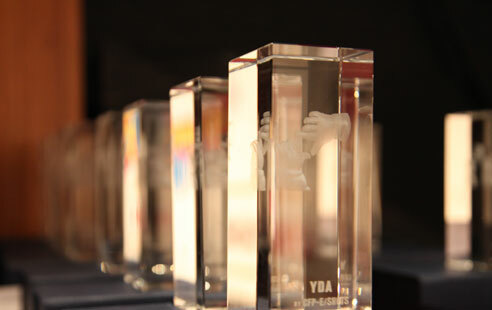 Entrants authorize YDA’s sponsors to publish their work on their website and/or Social Media. Including being featured in a shots slate reel after the winners ceremony. ANIMATION: Includes traditional animation as well as computer generated effects. A substantial part of the piece must be animated. Animated work may also be eligible to enter in other YDA categories. CHARITY COMMERCIAL: Films commissioned to promote public service, non-governmental organisation, fundraising, public health, public awareness promotions. COMMERCIAL: Film must have been made primarily for television or cinema as a commercial for brands and it is not longer than 120 sec. FILM SCHOOL (up to 6 mins): Films must have been produced as a school project. This may be commissioned by the school or similar educational organisation, or produced by students while studying film making. Your piece MUST be under 6 minutes. FILM SCHOOL (6 mins and over): Films must have been produced as a school project. This may be commissioned by the school or similar educational organisation, or produced by students while studying film making. You MUST also supply a teaser/trailer, edited or cut version (5 minutes or less) which will be used for a final judging review and at the winners ceremony. MUSIC VIDEO: Films commissioned by an artist, management or label to promote music projects i.e. songs or other music forms where the music is the prime subject to the film. It is not dedicated to music driven videoart or personal projects. ONLINE BRANDED FILM: Films must have been produced primarily for online exposure and are commercially branded. These films can be interactive and part of a wider online experience. PASSION PROJECT: Made by the filmmaker/production company and NOT commissioned. They are projects made by the director/producer from their personal inspiration or as an experiment, test/spec commercial or music video. SHORT FILM – (up to 6 minutes): This category is open to branded and non-branded short films, entries is this category MUST be under 6 minutes long. SHORT FILM – (6 minutes to 30 minutes): Open to branded and non-branded short films. This category is for short films up to 30 minutes. MID LENGTH FILM: Open to branded and non-branded short films. This category is for short films 30 to 60 minutes. VIDEO ART: Non-commercial, personal work, purely artistic. This work could be an independent project or can be a commissioned piece (may have a patron but the film should be the prime subject). Experiential/VR/AR: Films produced primarily using virtual or augmented reality which can be branded. Independent projects are also eligible in this category. This may include video art category – projects may be entered in both categories. If your entry requires specialist equipment to be viewed we may contact you for assistance with this so that judges receive the full experience. We would require a case study or video that is viewable on stage in the event of your work winning. CHANGING THE WORLD FRAME BY FRAME: These films are of such substance that they cannot be confined to a traditional commercial. Their scope, length and format is more indicative of a documentary approach and is designed to showcase high-impact hope-filled solutions to make tomorrow’s world a better place to live in. PRODUCERS AWARD: An award for the production company who has contributed the most to developing young director talent. You must submit a reel showcasing one or more directors whose work has been produced under the guidance, investment, or banner of your company. You may show the work of one director and their progress, or multiple directors to show depth or breadth of talent development. You can submit up to 6 pieces on one showreel. Please supply details for each item on the showreel indicating the director and any awards or recognitions. Judging is based on the quality of the showreel. Directors must have no more than 3 years experience and comply with the general YDA rules of eligibility. One of life’s truths is that behind every great director is a producer and we at the CFP-E Young Director Award would like to honor the role of producers in nurturing and developing the careers of young directors with a new award. We’re calling for nominations from all the associations within the CFP-E and production companies worldwide to put forward a producer who has been outstanding in promoting new talent over the last two years. We are looking for clear evidence of work that has evolved perhaps from humble beginnings which initially caught the eye of a producer to a well-executed and fresh film production. It’s about the development of film craft rather than creative spectacular ideas. Please send your nomination to hello@thoughtbubble.net mentioning “Producer Prize” in the subject along with a description of the producer, the work he or she achieved in promoting the new director(s), the name and cv of the director(s) and links to their work.